Nice looking watch. Old school design. I like it. Nice and classic. I like. Nice looking watch. What movement does that have in it? Nice G. Plain, simple, classy. ETA 2824-2. You guys have surprised me. I know how some of you feel about "fashion" watches so I was prepared to get hammered. I like the looks of it so I grabbed it. Thanks for the compliments. No complaints from me. 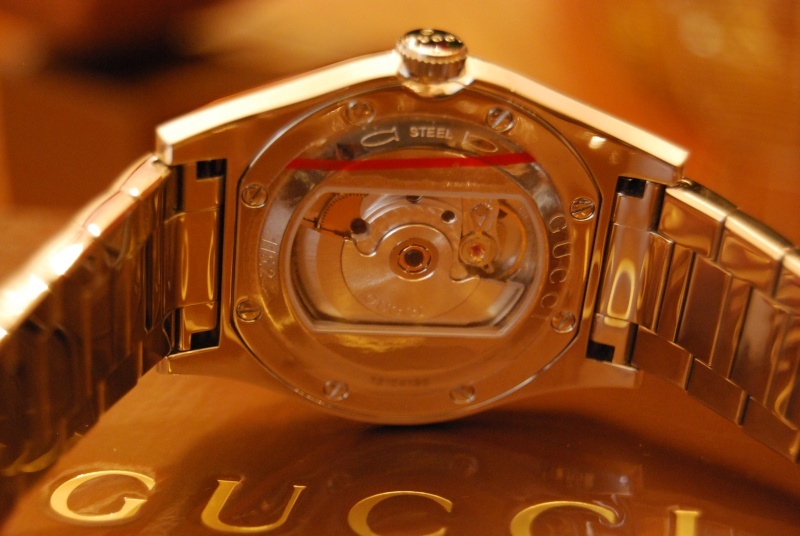 I've seen a few Guccis - now yours as well - and they seem well made with good movements, and a few are quite sharp. That is the very definition of a nice watch. Christmas present from mrs.neddles. Have to pull it out of the box every now and then. I just wish I could change out the rubber strap for something a bit less "fashion". Very nice watch! Great to see an auto, and a 2824 at that, in it. Glad you found something that you like outside of the everyday we see typically. 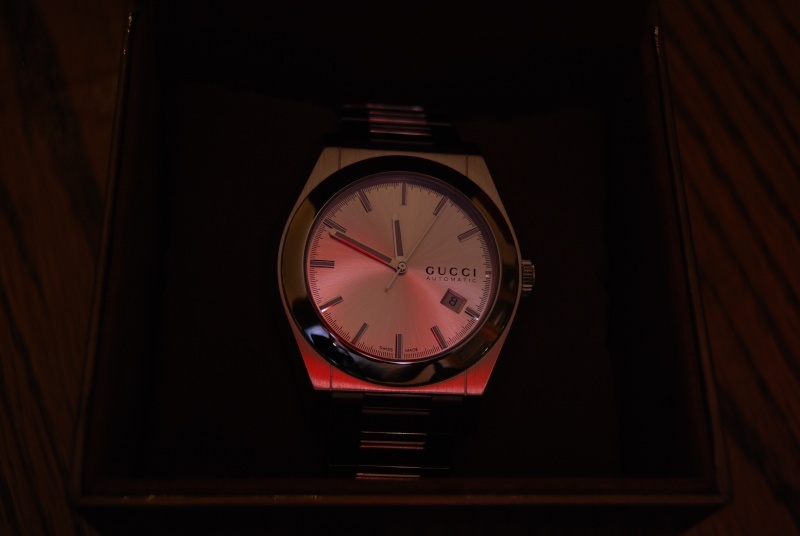 DB, it's a fashion watch in Gucci name only. In appearence it is a traditional solid timepiece. It does nothing more that that. You did good. Nice look. More and more, the classics appeal to me. 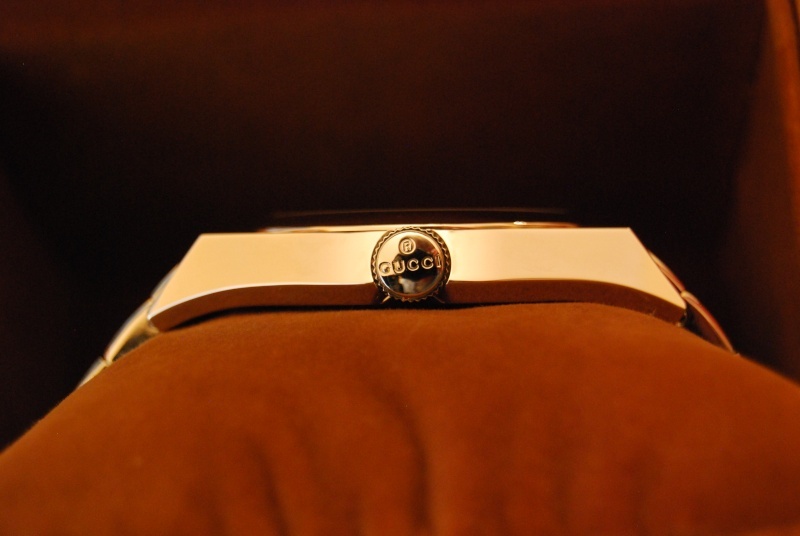 DB, that's one very classy watch, I like it a lot. Caliper says right about 44 w/o crown. 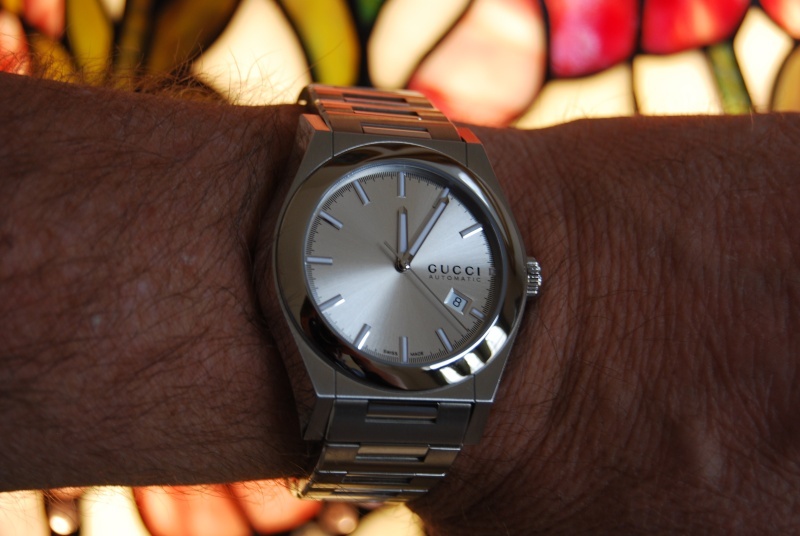 Classy looking...I like it, Gucci watches are made by what used to be Severin-Montres (now part of Gucci) a very well know and reputable watch maker co.
+1 ... 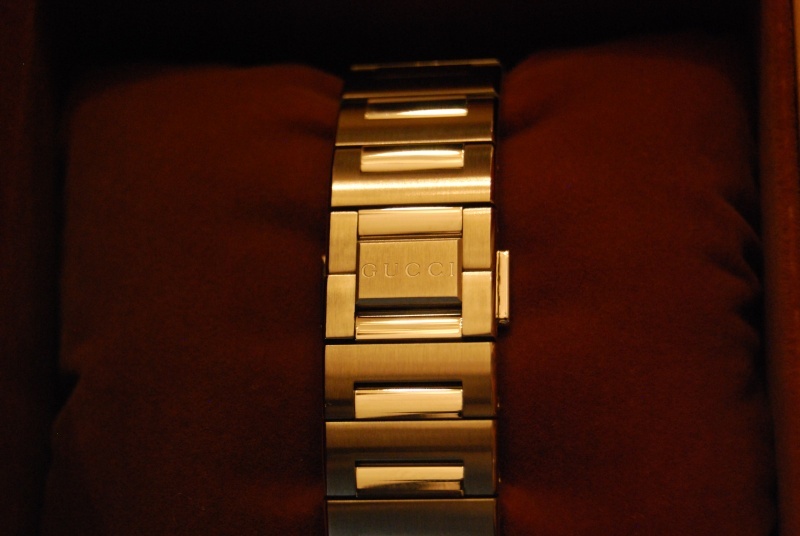 The Gucci Pantheon Autos I've seen are very nice and appear to be well built. Congrats. I like it. For me a fashion watch is more a look rather than the brand. To me any watch that keeps its focust on extravagant looks rather than function is a fashon watch. Anything that screams "look at me" is poor taste. Your watch while obviously sporting a fashion label name seems to be a classy watch with a nice movement. 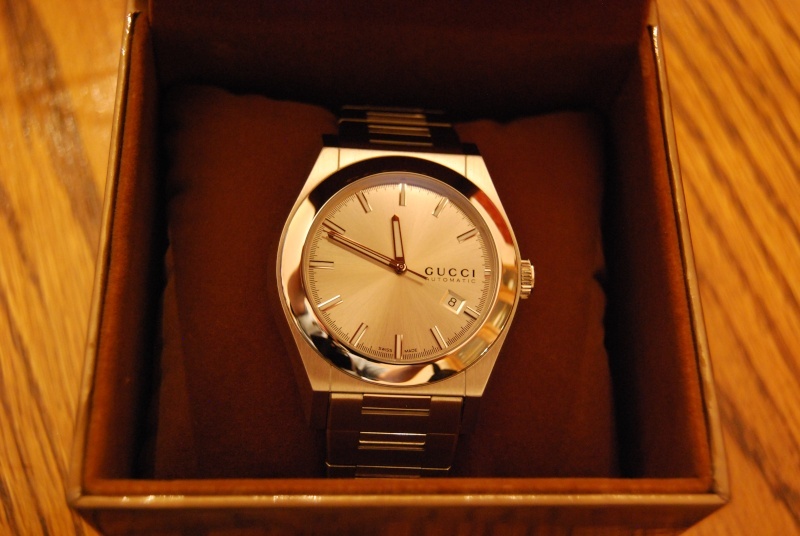 I dont see it as a fashion watch as from ten paces you would have no idea its a gucci. Subtlety is key. Now if the bracelet had Gucci cut out in the links and the case was shaped likea G then I would expect the fires to be lit and you flamed to a crisp. I actually think Its a nice watch. I saw a gucci at a TJ maxx recently and thought it looked nice but passed when i saw it was a quartz. Nothing wrong with that, its just not what im after right now. 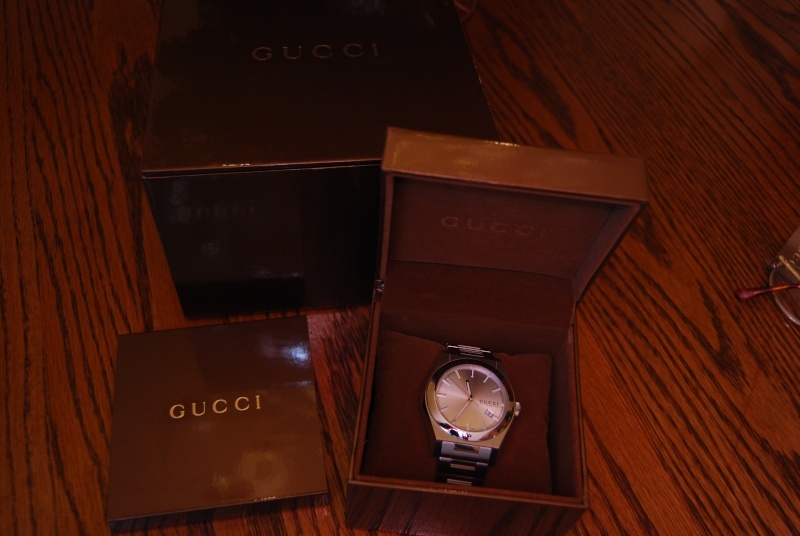 I admire the Gucci divers. Wow, I missed this when originally posted. 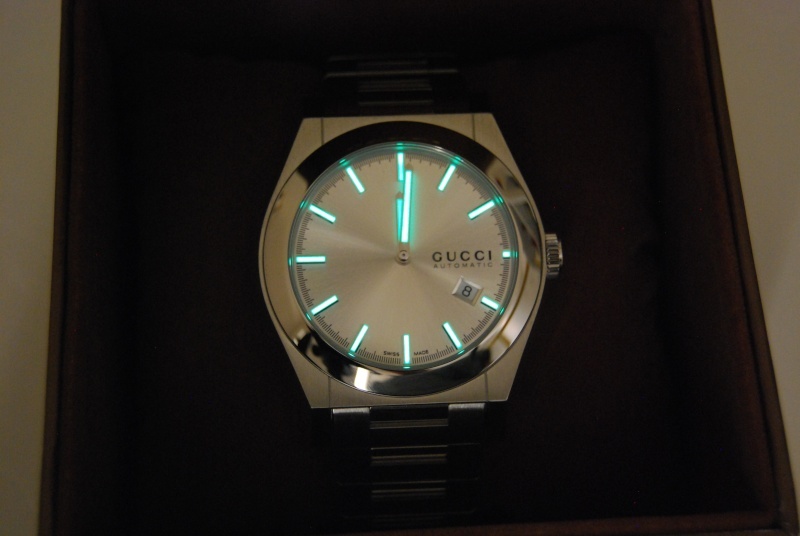 It meets my criteria for a next watch... Silver dial, sticker markers with a bit of lume all around.